Two police officers and a firefighter, are among 35 (1 CBE, 10 OBEs, 22 MBEs, 1 BEM and 1 QPM) members of the Muslim community named in the New Years Honours, the highest number ever. Overall, 12 percent of those being honoured have come from a black, Asian and minority ethnic background, including 29 members of the Hindu and Sikh 29 (3 CBE’s, 5 OBEs, 18 MBEs, 2 BEMs and 1 RVM) and 18 members of the Jewish community (1 Knighthood, 1 GBE, 1 CBE, 1 OBE, 7 MBEs and 7 BEMs). Police Inspector with West Midlands Police and President of the National Association of Muslim Police, Mustafa Mohammed, is among dozens of emergency service workers recognised. Inspector Mohammed is to receive a Queen’s Police Medal. Fellow police officer Superintendent Umer Khan has been awarded an OBE for services to policing. Khan is serving with Greater Manchester Police with over 23 years of policing experience, having started as a PC in Rochdale in 1995. During his time in the force Umer has worked in districts, CID, The Cheque Fraud and the Commercial Fraud Unit, and HM Customs and Excise Covert Operations, as well as the Force’s Neighbourhoods, Confidence and Equality Team. The third Muslim first responder to be recognised is Cambridgeshire Fire and Rescue Station Commander, Farshid Raoufi, has been honoured with an MBE. Peterborough-based Raoufi’s passion for serving the community stems from his treatment by the community when he arrived in the UK at the age of 14 from Iran. He journeyed alone via Russia to the UK. He was welcomed and was supported through school, despite speaking limited English, by a Polish family. He then spent time as a youth worker before joining Cambridgeshire Fire and Rescue Service in 1991. Raoufi has been recognised as a Champion of Equality and Diversity at the annual Asian Fire Service Association. He has also volunteered for 17 years acting as a role model and voice of reason to young people from different cultures. He has supported young people living in care and worked with the most persistent youth offenders to deliver education and life skills. He has provided advocacy for young people and vulnerable adults during police detention and helped to prepare for court hearings and provided translation services for police and other agencies. He has also worked as a Restorative Justice Facilitator, managing conflict by building relationships across communities. “I am someone that is rarely lost for words, but to be recognised by Her Majesty for something I consider to be nothing more than my duty to the community, has left me utterly speechless,” said Raoufi. Manchester native Aamer Naeem is recognised with an OBE for his work in Muslim community development. 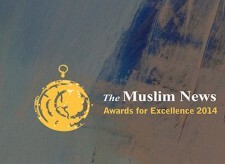 The award recognises his services to the Muslim Community alongside his work within the charity sector as the Global Chief Executive of Penny Appeal, relief and development agency. Mohamed Mahmoud, now an Imam at the East London Mosque, has already been noted for his heroism during the terrorist attack in Finsbury Park last year, is to be made an OBE for his services to the wider London community. Chair of the British Muslim Heritage Centre, Nasar Mahmood, is to receive an OBE for promoting community relations in Manchester. 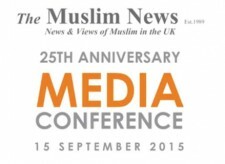 Faeeza Vaid, director of a charity dedicated to raising the voices of Muslim women has been appointed an MBE. Vaid from Birmingham, helped set up the Muslim Women’s Network UK (MWN-UK) helpline four years ago. It has helped more than 1,700 women escape from problems including forced marriage and honour-based violence. Vaid first joined MWN-UK as a volunteer in 2008, after completing an undergraduate and masters’ degree in law and a postgraduate degree in religious studies. She had focused her academic studies on women’s access to divorce in Muslim communities, and wanted to apply this theoretical knowledge to improving the lives of women in the UK. MWN-UK was one of the only organisations she could find working on issues of gender and equality within “an Islamic feminist framework”. Representing Wales in the honours list is Fateha Ahmed who was awarded an MBE for services to diverse communities. 22-year-old Saeed Atcha from Bolton is the youngest recipient honoured this year. The youth was recognised with an MBE for his work with young people and to the community in Greater Manchester. Atcha set up his own magazine, Xplode, when he was just 15 to tackle social issues and help young people increase their job prospects. It currently boasts a readership of 50,000 across Greater Manchester, with over 100 volunteers, and has helped train and give work experience to over 3,000 people. In 2014 he registered the magazine as a charity and the launch of Xplode Academy has allowed young people to teach journalistic and media skills to primary school children. It also works with secondary schools, using Dragons Den-style activities and inspirational talks. Mustafa Suleyman, for services to the UK technology industry. London. Abolade Abisogun, CEO, Urbanis Ltd, for services to diversity & young people in the construction industry. London. Abyd Karmali, Man D, Climate Finance, Bank of America Merrill Lynch, for services to international climate change & sustainable finance. London. Farooq Ur Rehman Chaudhry, producer, for services to dance & dance production. London. 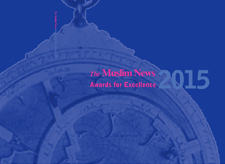 Mustafa Field MBE, for services to faith communities & social cohesion, Middlesex. 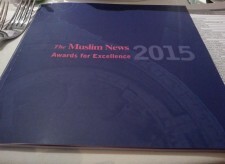 Nasar Mahmood, Chair, British Muslim Heritage Centre, for services to community relations in Manchester. Ruby Khalid Bhatti, for services to young people & housing. West Yorkshire. Shahed Saleem Tariq, Deputy Director of Children & Families, Leeds City Council, for services to children’s services in Leeds. Abul Kalam Azad Choudhury, Founder, Azad Choudhury Academy & Welfare Trust, for services to education in Bangladesh. W Midlands. Captain Pervez Badr Uddin, Armey Caddet Force. Jahaid Ahmad, Immigration Officer, London & South, Home Office, for services to law & order. Middlesex. Jamila Kossar, Senior Leadership Team, Manchester Islamic High School for Girls & Co-founder, Manchester with the Homeless, for services to young people. Mamun-Ur- Rashid, for services to business & the community in Govan, Glasgow. Mehmooda Duke Dl, Founder & Chief Executive Officer, Moosa-Duke Solicitors, for services to the legal profession & the promotion of female entrepreneurship. Leicestershire. Mohammed Ridwan Ahmed Rafique, Diversity & Inclusion Manager, Immigration Enforcement, Home Office, for services to the promotion of inclusion in the Home Office & the community in Sandwell. Monojaha Polly Islam, for services to charity & the UK Bangladeshi community. Beds. Mufti Helal Mahmood, for services to Community Cohesion in Oldham. Dr Zenobia Nadirshaw, Consultant Clinical Psychologist, for services to people with learning disabilities & mental health treatment. London. Riaz Alidina, Head of Financial Institutions Business Risk, Lloyds Banking Group, for services to small business banking. Hertfordshire. Shajjad Hadier Rizvi, President, Little People Charity, Romania. For service s to charity & the British business community in Romania. Sohail Ifraz, Generals Crops Staff and Personnel Branch. 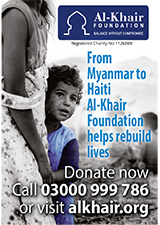 Tariq Mahmood Dar, for services to charity & the community in Brent, London. Wahida Shaffi, for services to women, young people, interfaith & community relations. W Yorkshire. Yusuf Mehmood Tai, Co-founder, Public Service Youth Foundation & Co-founder, Manchester with the homeless, for services to young people in Manchester. Zuffar Iqbal Haq, for public & political service. Leicestershire. Medal of the Order of the British Empire (BEM) : Shabnam Sabir, for services to Homeless & Young People in Oxford.